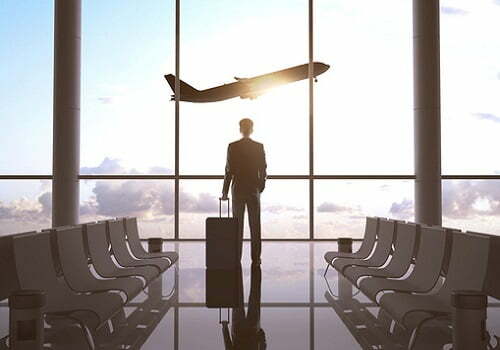 ​​Airport services are just one of the many of our specialities. Whether it be a vehicle for airport transfer between terminals, or trips to and from the airport. There is no better way than the limo way. Think of it as business class for driving. You get the same amazing perks; extra leg room, your own private space, super comfortable seats, first class service and style. Avoid the suffering of stress. The last thing you want is to put yourself, your family or your friends under the painful burden of having to organizing you a lift to and from the airport. Let’s be honest people including yourself are busy and no one wants to be rushing around playing taxi when they need to be other places. Let us remove the stress that comes from this and have one of our limos arranged to do it for you. The whole process will be much more delightful, less stressful and works out for everyone. There is nothing worse after a long or even short flight of having to haul your heavy luggage and load the oversized overweight cases into your car only to then have to sit behind the wheel and drive to your next destination. A limousine service of ours will have our drivers do the work for you; loading your luggage, driving you to your next destination, and unloading at the other end. Simply allowing you to really relax. Whether your trip be for business, pleasure or a bit of both why not spoil yourself and indulge in the luxury of a limo to the airport there and back. What better way to make that holiday that bit more special and memorable or that business trip as pleasurable as possible. Consider it the icing on the cake. On time and in place. Just send us all of your itinerary details and we will have the whole thing organised for you, now how simple is that? With sign in hand, we guarantee to be waiting for you, not the other way around. Don’t be the last one waiting for their lift, be the first and the most fabulous. Forget standing at the bus stop or in the taxi bay waiting, be that class above the rest rolling limousine rental royalty. Travel in superb style with premier pampering. There is truly no more sensationally spectacular way you could have delightful driving duties delivering you to your destination. A luxury limo far outweighs any soccer mum car, even sports car and certainly any bus or taxi. Travel in ultimate style, class and luxury the best way possible, by limousine of course. Call us to hire yourself a pampering package, and board the Perth Limo Experience flight. As luxury and exciting as flying business class except with four wheels on the ground.